The purpose of the Chinmaya Mission of Los Angeles (CMLA) is to provide to individuals the wisdom of Vedanta and practical means for spiritual growth and happiness, enabling them to become positive contributors to society. To give maximum happiness to the maximum number for the maximum time is the tenet that drives members to uplift humanity beyond selfish and sectarian attitudes and activities. Each person's gain is manifold: personal growth, heightened efficiency, contentment, and living in peace and harmony. 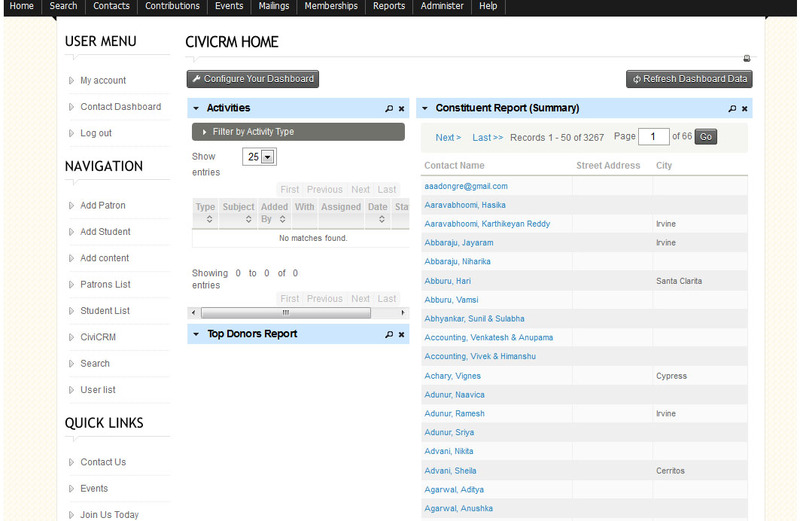 CMLA is making the best of the CiviCRM system by using it to help them manage their contacts as well as keeping tracking of membership within their organization. Using CiviCRM, CMLA can manage registrations for membership and events in an organized manner, without losing track of where they are. With so many members and contributors, CMLA needed a way to track their funding and incoming donations and therefore teamed up with Fanggle to integrate Fanggle’s FundJoy tool as well as CiviCRM. 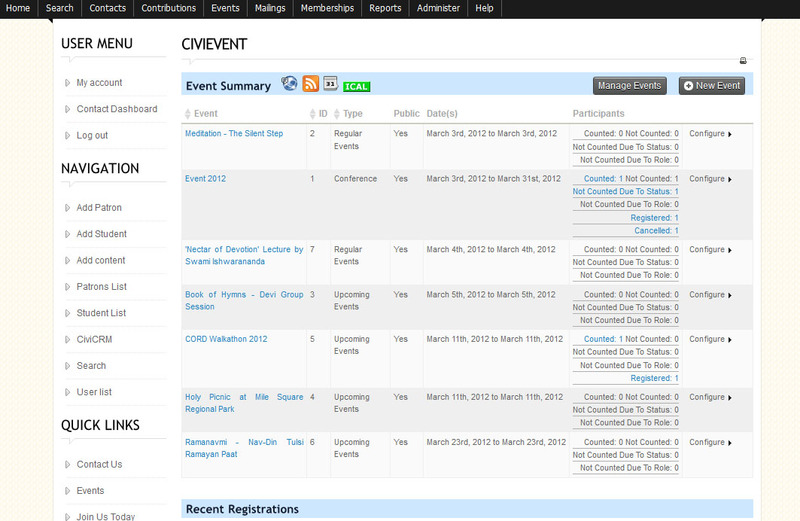 CMLA also brings in funding by throwing community events and fundraisers, which they are easily able to manage and organize using CiviCRM’s events section.